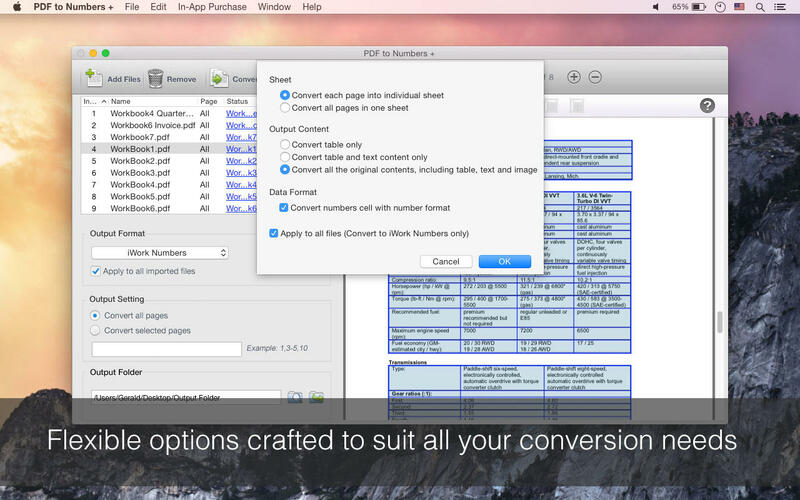 With PDF to Numbers +, you can quickly convert your PDFs into .numbers files, so you can easily edit or create gorgeous spreadsheets in Numbers much easier. We receive lots of PDF files everyday, checklist, invoice, price list, financial report, and more. 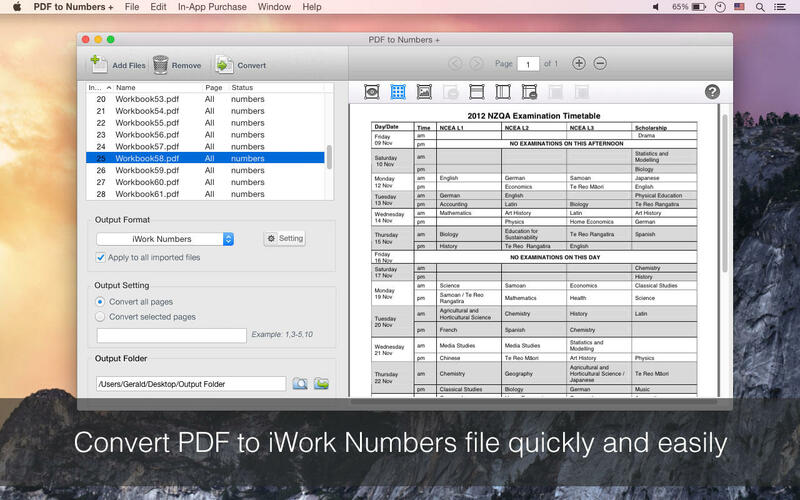 PDF is good but not editable, why not convert them into editable numbers files so you can calculate or organize your data easier? It takes only 3 steps to get the conversion job done thanks to the intuitive interface. 3. Click ‘Convert’ button, conversion will start instantly. The table conversion feature is crafted to suit all your conversion need and all the table types. 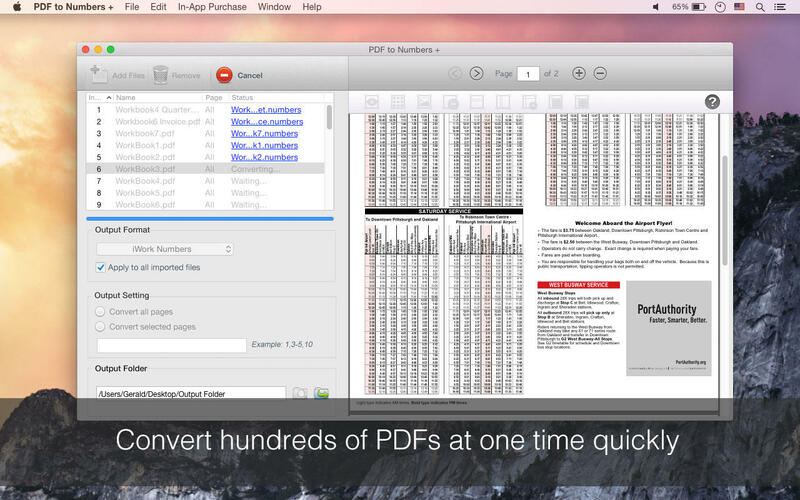 No matter how complex your PDF files are, PDF to Numbers + can always convert table data accurately. The app can detect table automatically base on table borders and data structures. If the table doesn’t have any border lines, or has complex layouts, you can mark table areas manually. 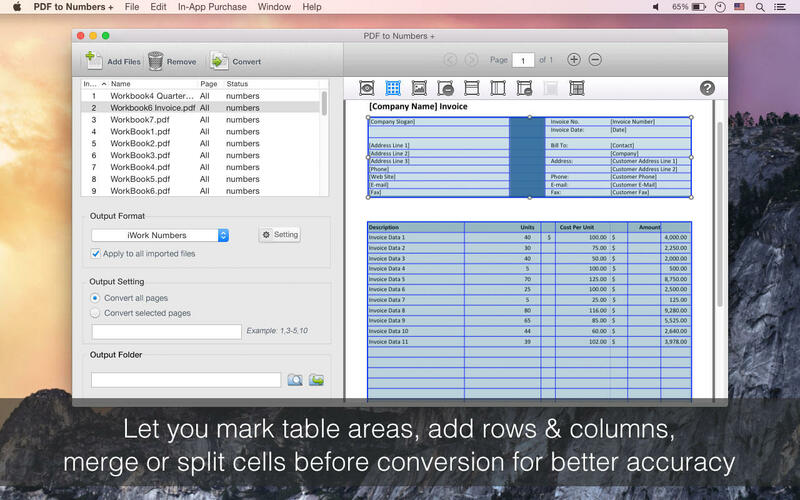 You can also add columns or row lines, merge or split cells before conversion. In this case, the output file will become exactly like the original PDF, so you don’t need to spend lots of effort reformatting the table after conversion. You can customize output setting according to your need. *If data is numbers, the app can format data as numbers in output file automatically, so you can easier to perform calculation. Output file is fully compatible with the latest version of Numbers, and the former version Numbers ’09. Note: This version doesn’t have OCR function, scanned or image-only PDF file will be converted as image instead of editable contents in output numbers. If you need help or more info, please contact us via support@lightenpdf.com.